LiveCode LessonsLiveCode LessonsHow To - Step-By-Step Guides To Tasks In LiveCode Using DialogsHow do I Create a Color Picker Swatch? 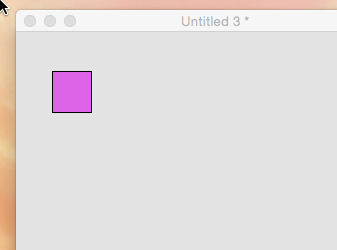 This lesson will show you how to make a color picker swatch. 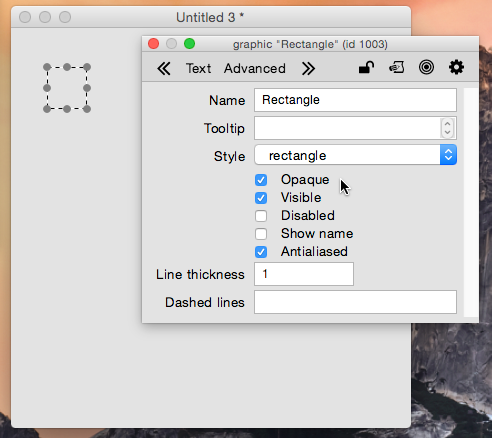 Select the Graphic tool (1) and draw a square graphic on a stack (2). Open the property inspector for the graphic and set the Opaque property to true. Open the script editor for the graphic and enter the script shown below. 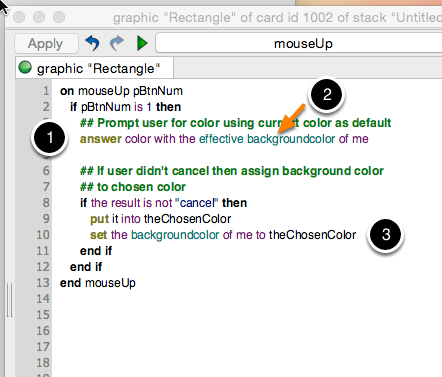 The script uses the answer color dialog to display the system color picker (1). 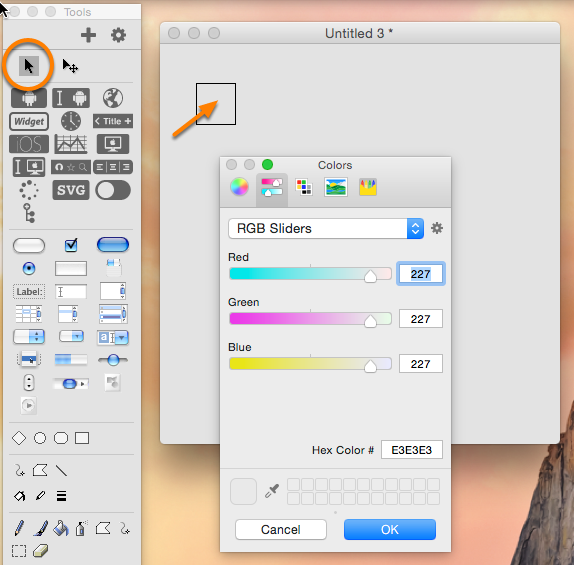 The backgroundcolor of the graphic is passed in as the default color to display in the color picker (2). The color the user selects is then assigned to the background color of the graphic (3). Switch to Run mode. 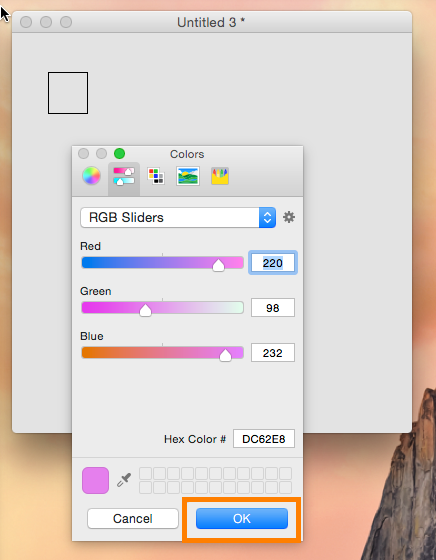 Clicking on the graphic will now display the color picker. Choose a new color and click OK. The graphic is now assigned the new color. Next: How can I restrict an answer file dialog to just applications? could i apply this method to an image which is thresholded ? i've done my app just till thresholding. then, i very confuse on coloring step. 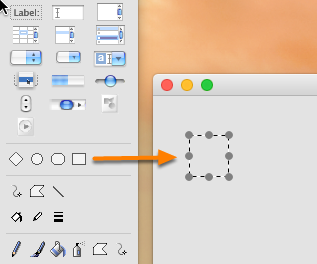 you could certainly use a color picker to return a value to which you would want to set regions in an image. Not sure if you can use the exact code from this example, as you are setting the "backgroundcolor". If you threshold an image, you may only be wanting to set certain regions of an image. Once you have thresholded an image, I would assume that the image contains two colours. You may then want to process the entire image and set one of the colours to a different value than the one you thresholded to. This value could be provided by the colour picker. It allows you to loop through all pixel in an image and do something to them.